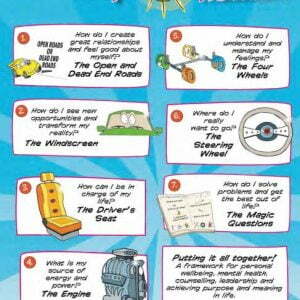 BIG A2 sized posters ideal to use as a checklist to solve problems in the classroom, office or workplace environment. 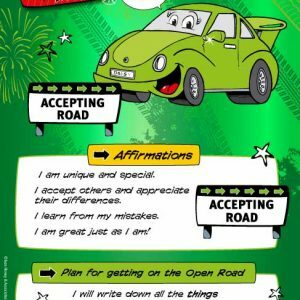 This large, colourful poster is a guide you can use anytime to enable you/your students/employees to achieve their potential and get the best out of life. 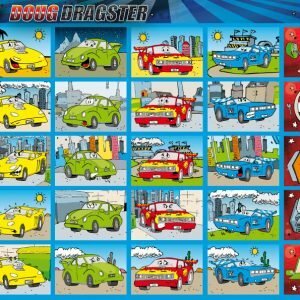 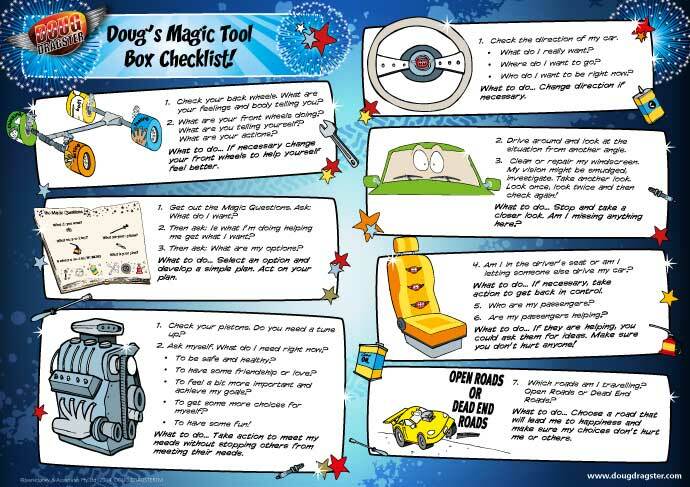 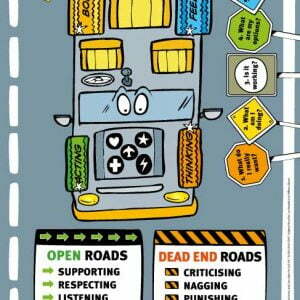 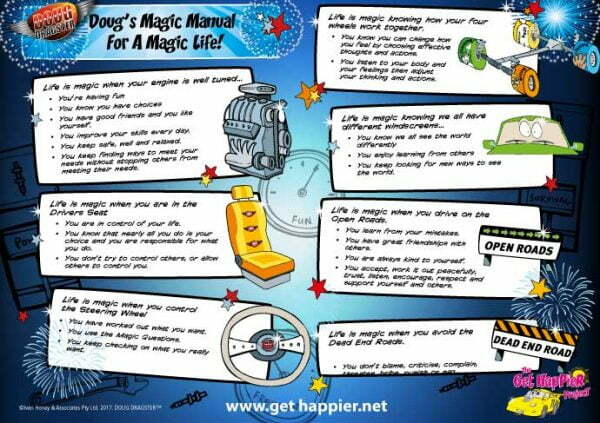 It works by systematically providing a summary of key themes learnt in ‘Doug Dragster’s Magic Book’.